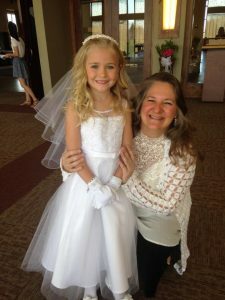 The Sacraments of First Reconciliation and First Eucharist are very special moments in children’s lives. Preparations to receive these sacraments are integrated into the Faith Formation classes. Those who attend Catholic schools are given the option of attending Faith Formation classes or only the retreats and special sessions for the sacrament for which they are preparing. 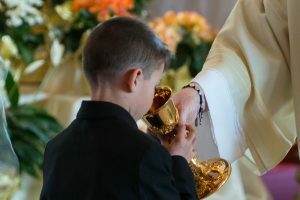 In order for children to receive the most out of sacramental preparation, it’s important that parents are active themselves in the sacraments – attending Mass regularly and receiving the Sacrament of Reconciliation as often as possible, and at least once per year as required by our Church.